Posted on 12/30/2017 at 10:45 am. Posted on 02/11/2017 at 12:13 pm. 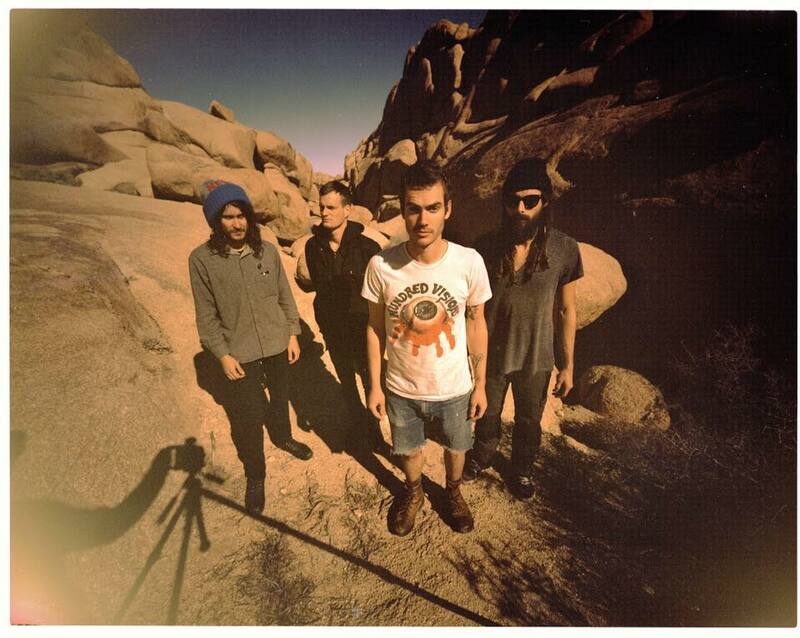 Born January 6, 2012, ALL THEM WITCHES brings a mixture of fuzzed out psychedelic rock, bluesy slow tempo’s filled with the depth and might of southern hard rock. Hailing from Nashville TN, this quartet is set to release their fourth full-length and if you are a fan, you will love this collection offered. If you have never heard of them before, this will serve as the perfect introduction. Eight tracks that contain some of the best to come forth from these gentlemen. Lead off track ‘Bulls’ starts off with the clean chords taking me back to the glory days of sunshine and softness of the seventies until a minute and a half into, the distortion enters full-force. Parks’ voice offers shelter speaking of “Leaves on the promenade…” For the next almost seven minutes, you experience all facets that make ALL THEM WITCHES so listenable… again, this is just the first track and shows they will not back down as you traverse this road. ‘Don’t Bring Me Coffee’ starts right off with Parks letting you know “Ain’t nobody gonna tell me how to run my town…” showing that he is in control and nobody better question it because “That ain’t how it’s gonna go down.” Using the backdrop of a tale of a woman coming out of his chest; ATW prove they can spin a tale as they lure you into their labyrinth of sonic bliss. ‘Bruce Lee’ / ‘Am I Going Up’ / ‘Alabaster’ and ‘3-5-7’ are all master-tracks and let ATW flex the muscle they have been building since that fateful day in January 2012 and the might is shown throughout making you dizzy with the winding haze-filled solos and staccato drum lines seasoned with enough hallmarks of psych-rock to please the oldest tie-dye aficionado. ‘Cowboy Kirk’ starts with a standard 4-measure drum intro, setting the pace for this tale of what happened when he “Sat down in a Cantina” getting “Pretty close to havin’ fun”. Here we have another case of the ‘last-track’ being the defining moment of what all of this meant on this record and at almost 10 minutes, there is plenty of time for Parks to tell you why he guesses he will go ‘Live on the internet’ as he states from the get-go past the Mellotron that opens this opus. “Time to go out-source lightning again” and there is much to be relayed to your waiting mind during this almost 10-minute beast into the mastery these gentlemen have offered up for our consumption. A band unlike any other out there currently and the dark mystic atmosphere shows the tireless work they continue to live while polishing up their signature sound/style as they traverse the skyline of the underground rock scene. This album shows they are ready for the big-time… let’s help them to make it happen! !